I’m going to show you how to avoid unnecessary meetings for website renewal by having only one workshop. Have you experienced an approaching deadline for a website renewal but had so many meetings that you are behind schedule? By having just one workshop, you can decrease the number of meetings you need to have. Here is an example of how to do it! When you renew your website how long do you think it would take to do it? From my experience, depending on scale of renewal, from taking a contract till finishing takes about 3 months. During this time you have meetings 2 to 3 times a month. So why do you have to have meetings? There is a deviation in the renewal plane so everyone needs to change their approach. There is a lack of interest in the project. If you leave these problems as the renewal project advances, not only is there an increasing number of meeting, in the worse case, the whole project might break down. I will introduce you to a way to resolve these problems. It might surprise you but by having meetings with both the client company and production company, you can analyze your website from every situation and find a new way of improving your website. The result of doing this is you can decrease the number meetings. Step.1: This is what you need to do before running a workshop. 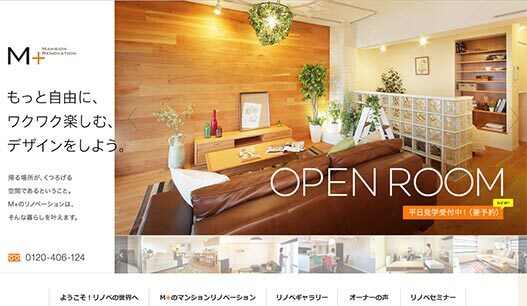 Now I’m going to show you a Sapporo renovation specialist company　M plus【M+】 and the workshop which they used when renewing their website. You need to do all those things below as groundwork for doing workshop. This is to decide what kind of workshop you need run. 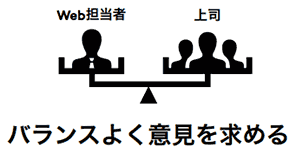 ※Workshop is to solve problems by having discussions with everyone. Preparation and attention; hear as many different points of view on the project as possible . Before you have a workshop, it is good to listen to the opinions of the staff and management of the company doing the upgrade. You will be able to get an idea of their vision and overall goal. By hearing both the views of the practical aspects and the vision of management, it will increase the success of the renewal. Before you have a workshop, it is important to see the company worksite with your own eyes. By going to the site, you can get the reaction from customers and by listening to the workers at the site, you can get a feel for the real situation. At M+, I could hear the site visitor’s reactions and opinions by going to an actual open house and joining seminar for people considering renovating their homes. Even having simple interviews like this can help you understand customer’s feelings. When you prepare the workshop, these are the points to note. Preparation and attention; Ask people from different departments and/or positions to join. First, you must think about what kind of people you want at the workshop. The point is to have input from people in at least two different positions or departments. Having a website user to present would be ideal it is often difficult to do so. For this workshop there were; sales representative from M+：3 people, Residential designer：one person, coordinator：one person, housing installation technician：one person, marketing：one person. Seven people participated all together. A workshop that has a confident and enthusiastic facilitator produces a sense of unity among all participants. Repeating, eliciting, and summarizing the goals of the workshop is useful. At the M+ workshop I, as web consultant, served as the facilitator. Typically, the average residence time on the site is for 3～5 minutes. Considering this, let’s do the workshop from the user’s point of view. If you set a time limit, inevitably you will work with this in mind. It is important that all attendees understand their views are valued. If everyone gets to share their opinion, their satisfaction with the website renewal process increases. It will be good to prepare these fixtures before running workshop. When you are ready to start having workshop, let the participants know the purpose and intention of this workshop. Make sure you use terminology everyone can understand. Ask participants to imagine the kind customers they think will use the website then aim to design it to suit them. With a variety of different people you will get different views but this helps create a final product that apples to a wide range of people. Match the content to the user profile. The contents will be different for each website. Let participants to think for 5 minutes about what kind of customer they imagine will then share their ideas with the group. 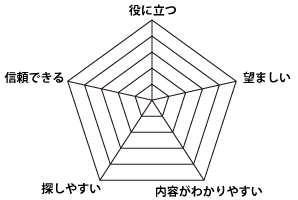 Take on the perspective of customers then evaluate the site in the radar chart as shown in the figure. Have this as the goal for the website, and continue to analyze the behavior until you get there. It is good to evaluate the time with the following contents. Do a walk-through evaluation. A walk-through evaluation is to imagine how customers move around in the website and get a feel for what they would do. I created a detailed and concrete action for the each of the following scene. 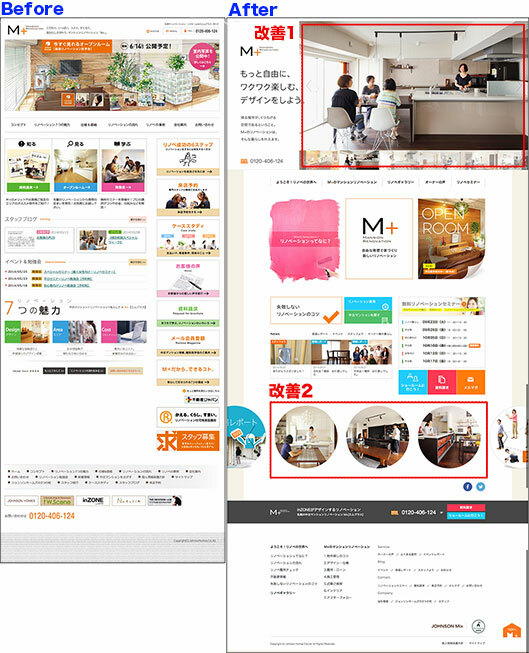 The point is 「to imagine the website from a customer point of view, not your own 」. She surfs through her smart phone in lunchtime. She knew M+’s Facebook page and already clicked “Like”. First she saw a construction case. After that, she looked through all the concept cases. She was interested in「inZONE」which is on the bottom of the page then she moved downwards and found「M+」. Even if she wanted to attend a seminar, the application form is difficult to fill out. Step3; after the workshop：Standardization of customer image for the Renewal concept design. After the workshop is done, all the participants should organize the next stage. But this time, as workshop had taken 3 hours it was hard to motivate people to do this so the web consultants dealt with it all. If you are not used to organizing website construction, it might take some time to see any benefit from your workshop. It is important to imagine a customer persona as if they actually exist. Then by making this scenario it is realistic and has the movement and feeling of the kind of customer you aim to attract to your website. We have a group discussion on whether thing should be included on the site or not. When we do this we write out all the opinions that were obtained during the workshop on “Post it” notes, especially from stages 2 and 3. Use these as a base for the user persona, make it a priority to match site content to these, and then start making a site map. As a base for the user persona, organize content and prioritize it. When you finished making a site map make a prototype on paper. Draw a design that will become the base for the site. When making the prototype, take in to consideration the workshop results. Think of a design that improves on points that were hard to use when you were doing the walk-through evaluation. By doing this you can improve weaknesses in the current website. For the M+ renewal, the big change we made was to top page and contact form. Here is how we used persona for the top page and the improvements we made. improvement 1：To answer the question ” what is house renovation?” better, we put photos of renovated rooms on the top page as a photo gallery. By doing this, it makes what renovation is easier for customers to understand. improvement 2：We placed a visual link page that shows the case study of different personas. For example, a lady who hasn’t married, is living alone, and enjoys entertaining. A 50-year-old man living alone and who enjoys his hobby. These personas resonate directly with customers so they can imagine the layout and fancy living after the renovation. Results obtained from the workshop; after 2 months the number of conversion increased 256% ! We analyzed the website from the various points of view and could find ways to improve it. This was a benefit of gathering information from all the different people at once in the workshop. Additional achievements that resulted from the workshop included getting workers who were not previously interested, to talk their website by having a good discussion at the workshop. Everybody got to have his or her say by having the workshop. Adjusting schedules, gathering information, and checking designs are all done by phone calls and e-mail. Meeting misalignment is reduced so time wasted and production costs are reduced by 30% too. The site becomes an aggregation of the opinion of all participants so everyone feels they have a stake in the final product and we get content based on everyone’s best ideas. Of course the web consultant becomes a partner in the look of the final website as do all the other people involved. You can advertise the site with confidence to customers (the real users) because by designing the site from the customer point of view you know it will appeal to them. Conclusion：Find the real customer image and maximize the efficiency and effectiveness the renewal plan. It makes a big difference to approach it from the customer point of view. Having a workshop like this means you can use a customer point of view to guide your website renewal. Just spending lots of time and money does not always make a good website. For example, real customer interview takes 1~2 months to reflect correctly on your website. The important thing is to get the views of everybody who is involved the project. From the one workshop we did this time, we could analyze the situation from various points of view to make many important customer scenarios, which is much faster than surveying real customers. It needs professional’s skill to improve the website but the people who are actually using the site, the customers, are not a professionals. 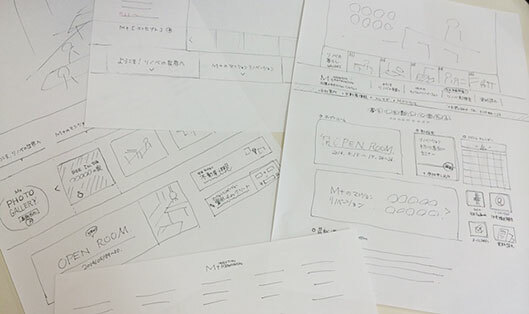 By renewing the website from customer point of view at the workshop it leads to good results. 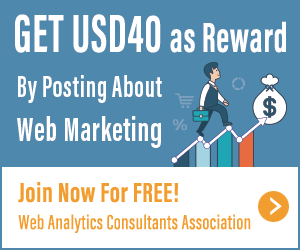 This is the purpose of web analytics, to bring the most effect with the least cost by matching the product to the customers needs. Born in Seoul, Korea. Bilingual in Japanese and Korean. Graduated from Art University in Korea and Digital Hollywood School in Tokyo. Moved to Sapporo in 2000. Established Regraphy Limited company in 2005. Design manager improving web design, UX, and web analytics. Being both as a supervisor and executive committee of “CSS Nite in SEOUL” in Seoul, Korea in 2009. Over 300 people participated in every event and it grew to become a major seminar event in Korea.